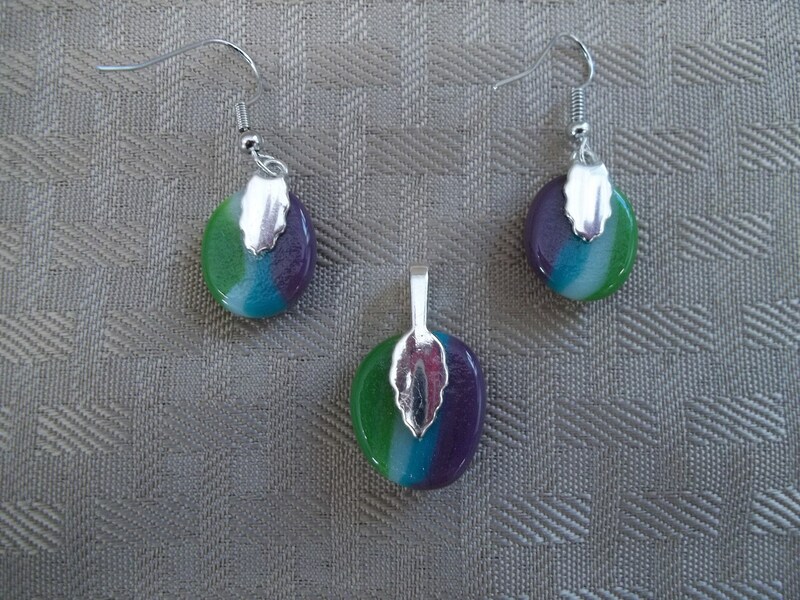 This pendant and earring set was handcrafted by stacking glass in a kiln and firing it into one piece. Several firings may be necessary to achieve the desired effect. 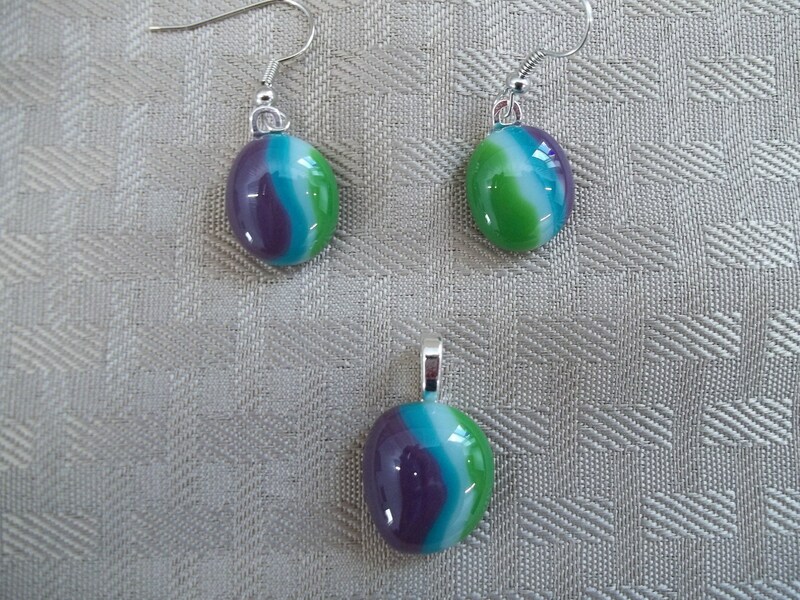 Purple, green, turquoise and white were used, so this set will go with several different outfits. 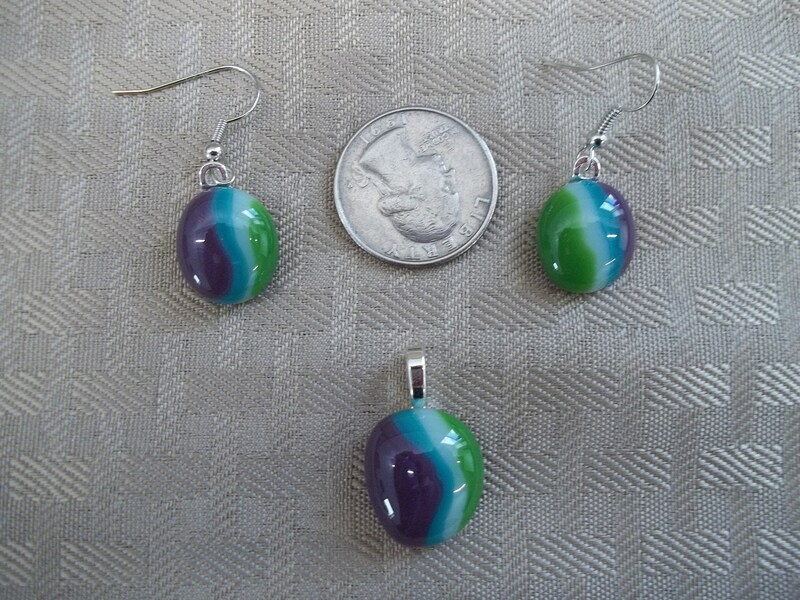 The bails are sterling silver with the earrings measuring approximately 7/8" from the bottom to the top of the bail and 1/2" across at the widest point. 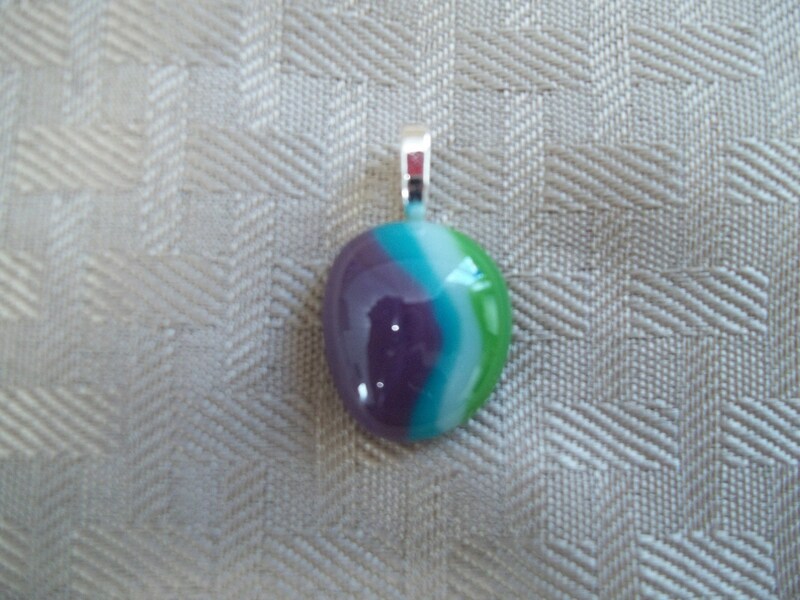 The pendant measures approximately 1 1/8" from the bottom to the top of the bail and approximately 5/8" at the widest point. 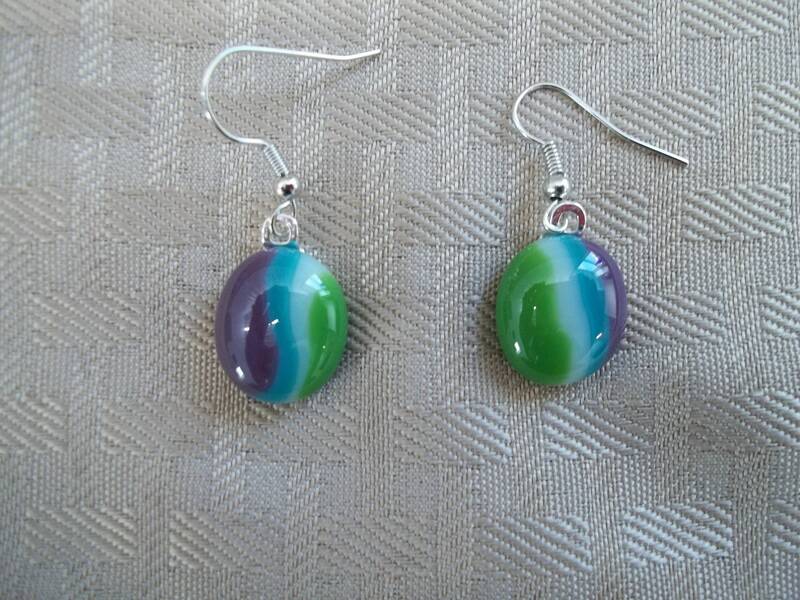 Unique and one of a kind, you won't see anyone else wearing these.